From “The Revenant,” to “All Is Lost,” to “127 Hours,” man vs nature movies have become increasingly popular in recent years. 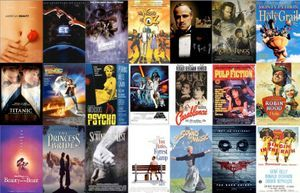 It’s debatable where exactly this genre stemmed from, although 1993’s “Alive” remains one of the defining survival movies for many. 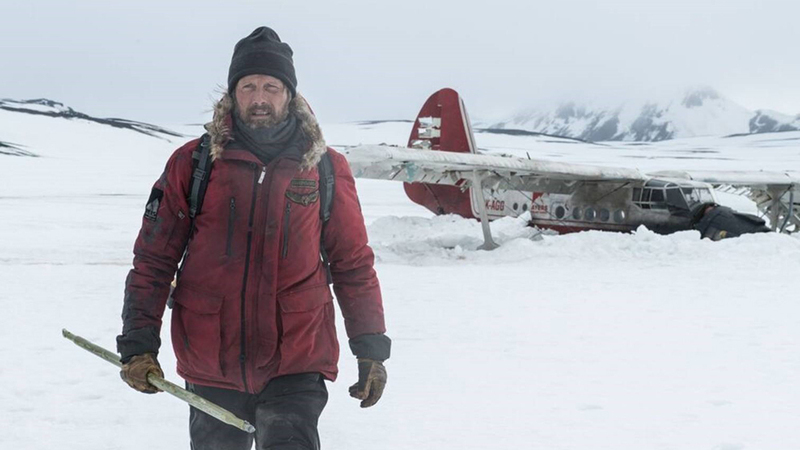 The harsh, freezing environment in “Arctic” is bound to give you flashbacks of watching Frank Marshall’s film in the theater over twenty-five years ago – assuming you were even alive back then. Of course, Joe Penna’s feature directorial debut has a few major differences. For starters, there’s no cannibalism, which is ironic seeing how it stars Mads Mikkelsen of “Hannibal.” The film’s success largely rests on Mikkelsen’s shoulders, as his co-star is incapacitated for a majority of the run time while the only other significant players are a pilot who’s DOA and a polar bear. Ever since gaining mainstream attention in “Casino Royale,” Mikkelsen has been frequently typecast as diabolical villains. It’s an archetype that certainly suits his talents well, even amounting to a portrayal of Hannibal Lecter that rivaled Anthony Hopkins’ Oscar-winning performance. Mikkelsen has more layers to him as a performer, however, and his range is on full display in “Arctic.” He delivers an emotionally raw acting feat as Overgård, who has been stranded in the Arctic for an unspecified amount of time. Converting his crashed plane into a shelter and rationing whatever fish he manages to catch from the frozen waters below, Overgård has seemingly accepted that this is his new normal. He’s given a glimmer of hope upon encountering a helicopter, but the possibility of a rescue is sent spiraling to the ground due to strong winds. While the pilot dies in the crash, Overgård is able to salvage a nameless young woman from the rubble (María Thelma Smáradóttir). Lugging her back to his camp, he attempts to nourish his new companion back to health. With supplies running low and nobody coming for them, it appears Overgård’s only choice is to head out into the snowy wilderness where he may either find a haven or certain death. As if the odds weren’t against him already, the woman is still in no condition to walk and must be pulled every step of the way. On a budget of only $2 million, “Arctic” is about as minimal as a movie can get. There’s barely any dialog whatever, but the audience can always tell what’s running through Overgård’s head judging from his expressive face. Penna has crafted an impressive visual story, framing Iceland in a way that’s both threatening and majestic. Overgård’s dynamic with the woman is also surprisingly involving, despite the fact that they never share more than a couple words with each other. It would’ve been easy to write in a token romance, but their relationship is wisely kept platonic with Overgård staying by her side without ever wanting anything in return. If there’s a downside to “Arctic,” it’s that the survival genre is so oversaturated. Had it come out several years ago, this might’ve been viewed as a bold piece of experimental filmmaking. After “Cast Away,” “Everest,” and a few other films already mentioned, though, it can feel routine at times. That being said, even at its most familiar, the film is gorgeously shot, exquisitely acted, and makes the most out of its intense setting. It’s not revolutionary by any means, but that’s no reason to give it the cold shoulder.